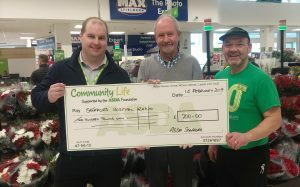 HRS Expresses it’s thanks to ASDA Stafford for donating £200 to it’s Charity following the recent green tokens collection. This will help enormously towards annual running costs at Hospital Radio Stafford. Thank you to all ‘shoppers’ who made this possible. 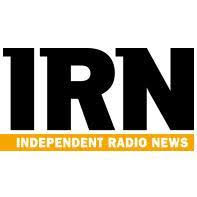 In this edition, Stoke Mandeville Hospital Radio celebrate 40 years of hospital radio in Aylesbury, Richard Smith and team host their biggest BIG broadcast yet and Radio Horton hold a record breaking festive fundraiser. 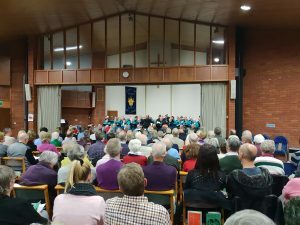 Last night ( Wednesday 19 December 2018 ) the Stafford Singers and the Stafford Orchestra presented their annual Christmas Carol Concert at St Thomas and St Andrews Church, Doxey. Volunteers from Hospital Radio Stafford were on hand to sell raffle tickets and present prizes to 42 winners. 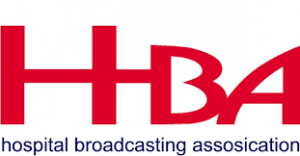 The total raised for HRS funds amounted to £227. 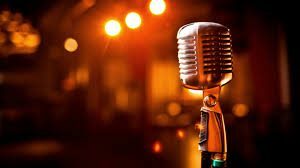 Thanks from HRS go to the performers, audience and volunteers for a super evening ! 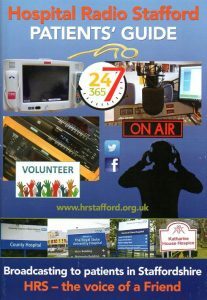 Well done to HRS Presenter Stewart Critchlow who hosted a guest show at Stafford FM last Friday evening. 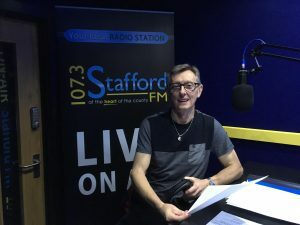 Stewart took the opportunity to tell listeners about Hospital Radio Stafford’s history and current programming schedule as well as playing some of his favourite music. 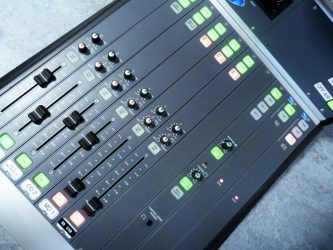 If you are a Patient, Outpatient or Visitor to the Royal Stoke University Hospital, you can listen to Hospital Radio Stafford free of charge with unlimited access. Using any web-enabled device such as a smart phone , tablet or laptop follow these simple steps………. 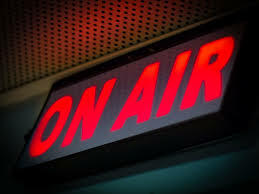 Broadcasting 24 hours a day , 7 days a week to Patients in Staffordshire. You can help raise funds for HRS by purchasing on-line items via Easy Fundraising. Just register with Easy Fundraising and nominate Hospital Radio Stafford as your nominated charity. 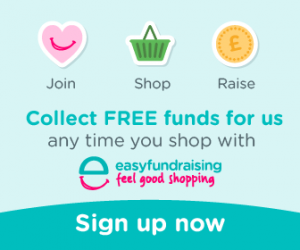 Each time you make a purchase go through the easy Fundraising portal, purchase your item and a % of the purchase price goes to HRS automatically. You can even see how much you are generating for our Charity. So far just 17 people have raised over £822 WOW ! Why not give it a go yourself ! and uniquely only available to patients at County Hospital, Stafford; Cannock Chase Hospital; Katharine House Hospice and the Royal Stoke University Hospital. Come and join us. New volunteers always welcome !